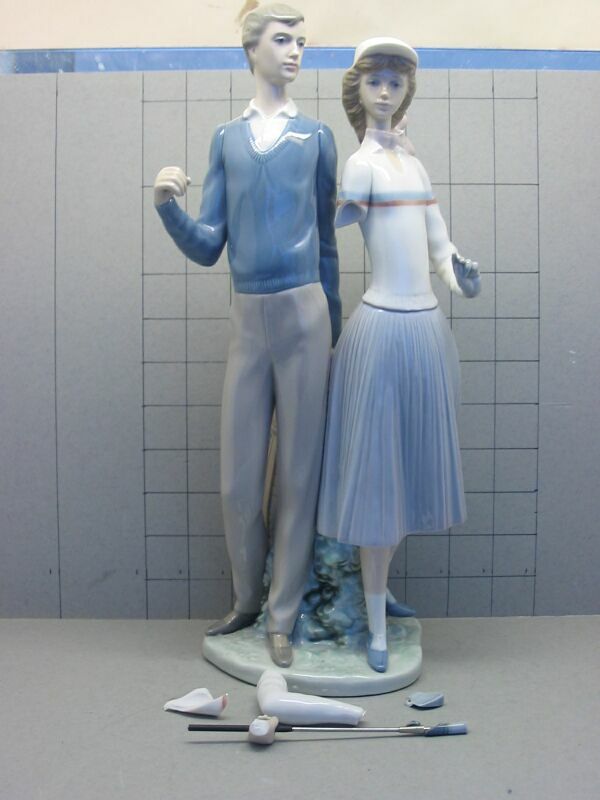 Lladro, from Valencia, is best known for its Classic range, which is made from a high quality deeply glazed porcelain. It is characterised by its pastel colour range; the colours are in the body of the porcelain itself, rather than being applied afterwards. 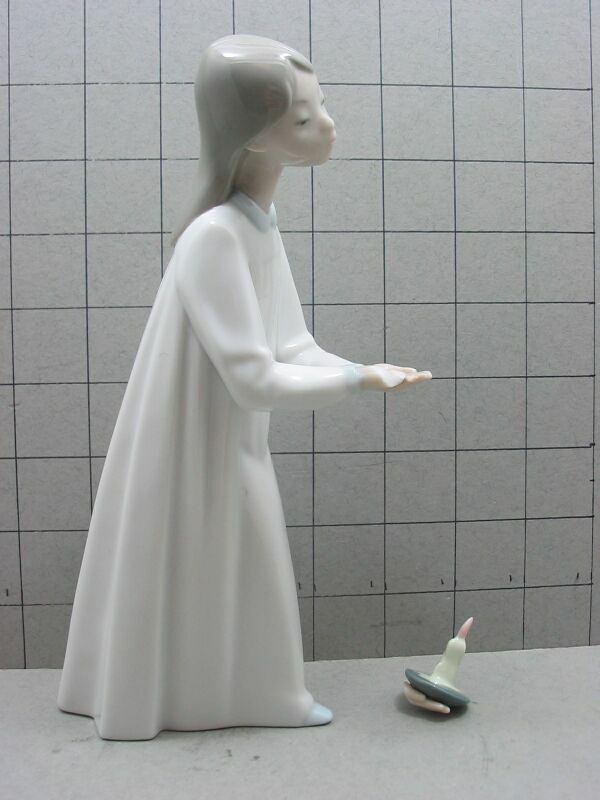 Nao is part of the Lladro group, and reflects the style. 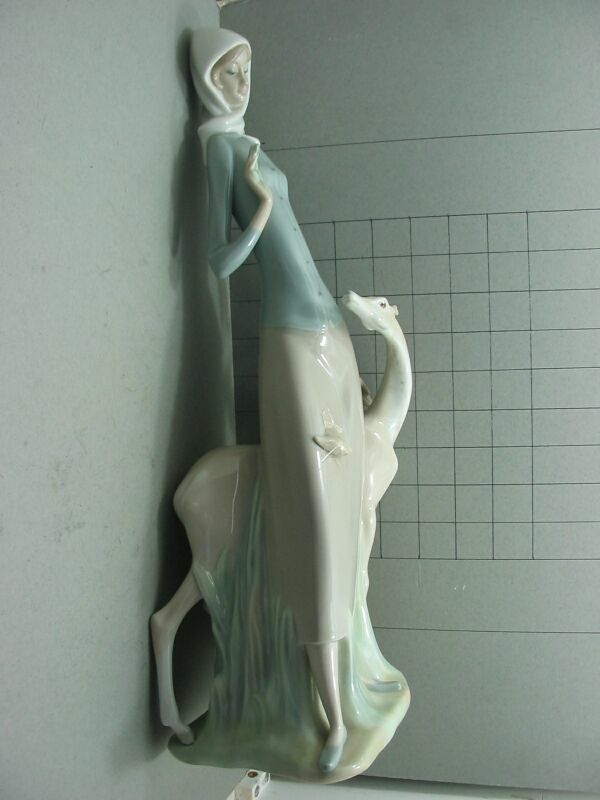 This one is from the Gres Lladro range, coloured more conventionally. 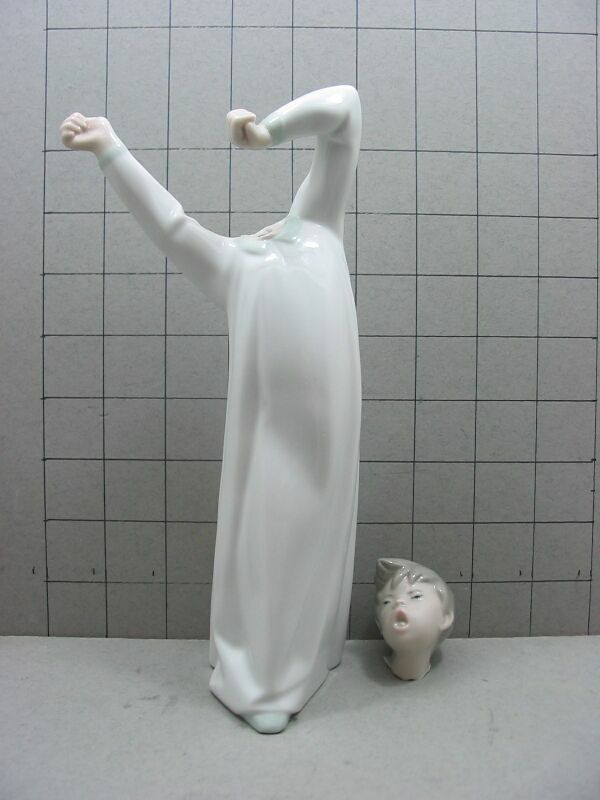 The girl's arm has been broken and glued. 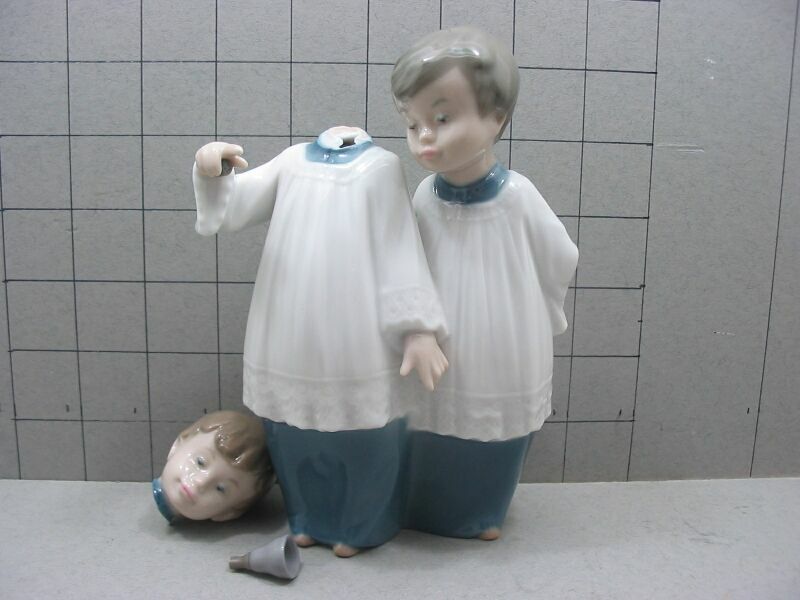 This one is popular as a golfing trophy. The golf clubs are additions made of steel and it is important not to get them caught in things. The faun's projecting ear was broken off. A couple of little bed-time figurines. This one is from Nao. PS for non-Spanish speakers: The "Ll" is pronounced as "y" and the "r" is rolled as in Scotland: "Yadrro"